Here’s a fast, easy way for how to fix your slow Firefox browser! I see a trend happening here – I’m getting an increased number of calls from people who need help with their Firefox browser slowing down. And in some cases, people tell me that the more they use their Firefox browser, the slower it gets! Sounds familiar to you? If so, then you’re part of the growing army of people getting frustrated lately with Firefox. Here’s how I’ve been fixing the slow Firefox browser issue. It’s a fast, easy solution, and unlike some other “how to’s” out there – this solution doesn’t require you to discard all your add-ons, uninstall Firefox, or any drama like that. 3) After you click “Clear Private Data Now” you won’t see any more messages. Basically, Firefox finished flushing out the cache and that’s it. Now, go to the upper right corner of Firefox and click the “x” to close Firefox. You should now get an options box that looks like this (don’t worry if you don’t – proceed to step 4). 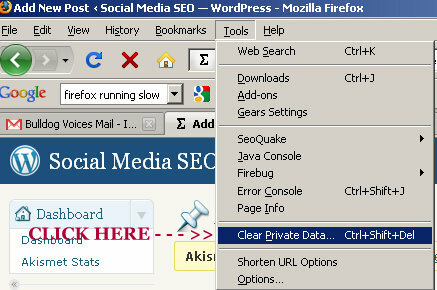 4) Once you’ve hit “Quit” – or Firefox has now closed – go ahead and re-open your Firefox browser. You are going to have to go in and re-login to all of the places that are usually automatically logged in for you. This is because when you flushed the Firefox cache, all of the saved passwords went with it – which is a good thing! And there you go! 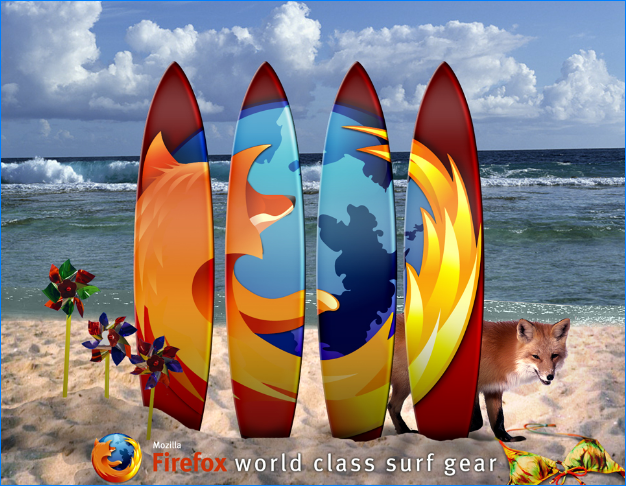 You should now have a much faster Firefox browsing experience. I recommend that you follow these steps once a week to keep your Firefox browser running fast and efficient. After you do it a couple of times you’ll be able to fly through it – no big deal! If you have any problems, questions, or comments, just add them below to the comments section. Thanks for reading – and I hope your Firefox is back to running smooth for you!